After many weekends of Brussels sprouts, potatoes, carrots and kale, I finally saw asparagus at the farmer’s market. I love kale but it’s nice to finally have something new. Luckily, I had some stuff in the fridge to fix myself a quick lunch. 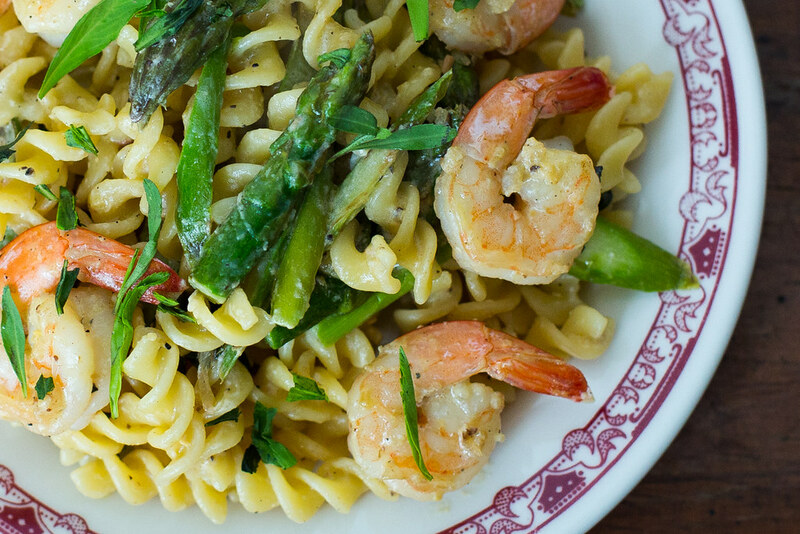 Check out my recipe for an asparagus, shrimp pasta with miso paste.